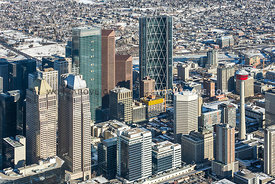 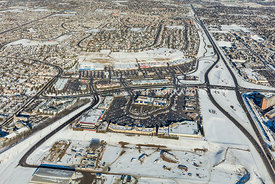 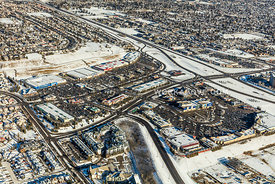 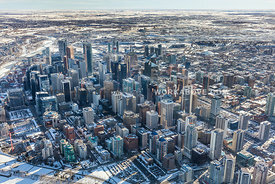 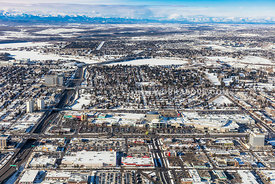 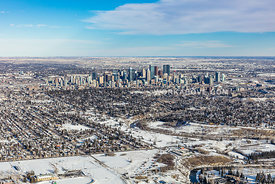 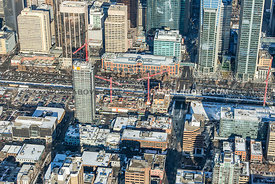 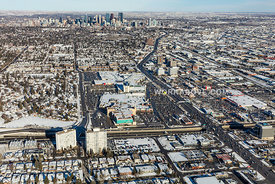 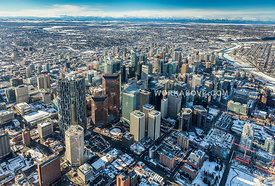 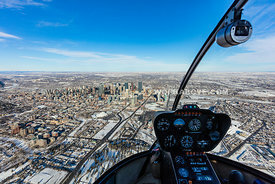 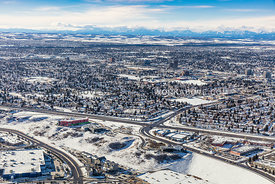 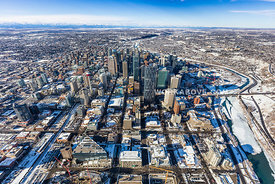 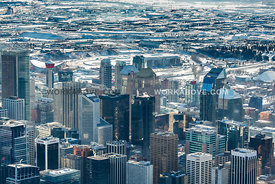 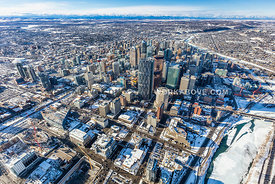 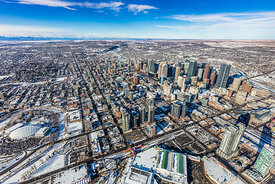 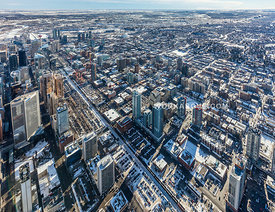 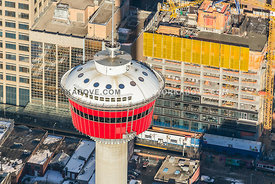 Aerial view of the city of Edmonton, Alberta featuring the downtown core or city center. 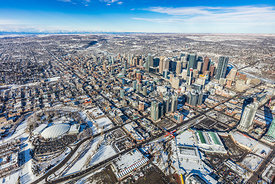 Aerial view of the city of Edmonton, Alberta with the provincial legislature building in the foreground. 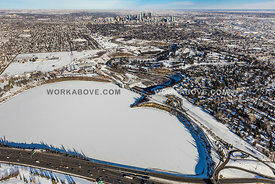 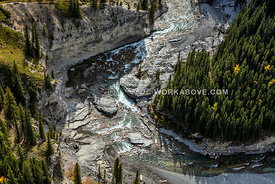 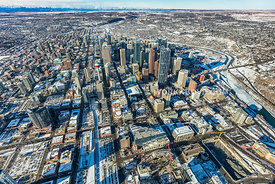 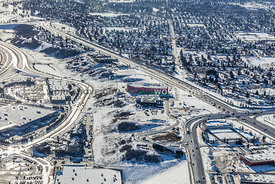 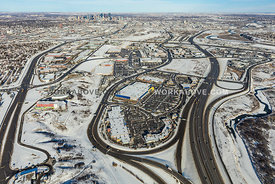 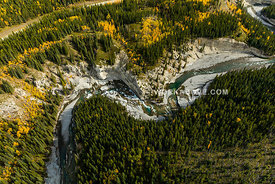 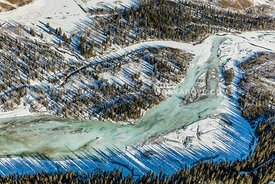 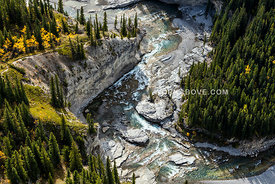 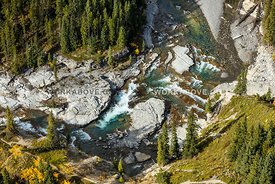 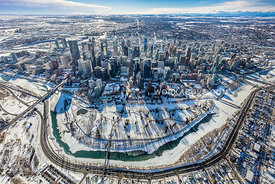 Aerial view of the city of Edmonton, Alberta featuring the provincial legislature building and new Walterdale bridge.